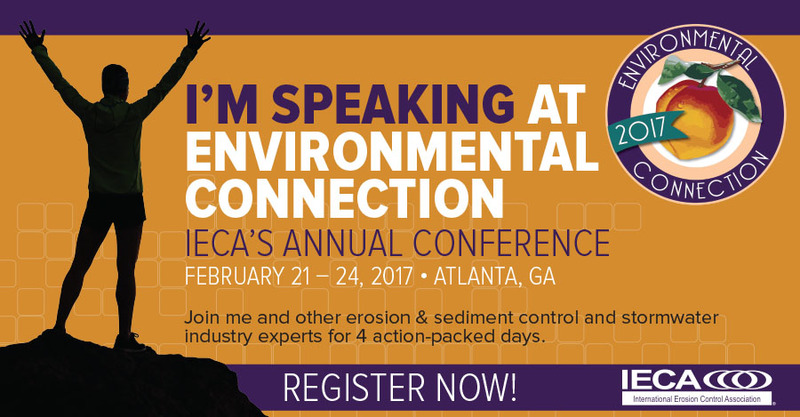 Chris Estes of Estes Design is presenting at the 2017 Environmental Connection in Atlanta Georgia. Estes Design's seminars are approved LA CES programs, elligible for continuing education credits. We are happy to provide seminars for your group or association - Contact Us! Estes presented on stormwater infiltration in clay soils and watershed research. Estes presented Reversing Urban Hydrology in Piedmont clay soils using infiltration and pervious concrete. Estes presented on stormwater infiltration research and urban hydrology. Estes presented stormwater infiltration in piedmont clay soils and reversing urban hydrology. Estes presented on proper design of pervious concrete for infiltration. Estes presented with Megan Gray, UNCC research " The Effect of A Permeable Pavement Parking Lot on Runoff ..."
Estes presented to city staff on stormwater infiltration and Piedmont clay soils. Estes presented on porous pavements, stormwater infiltration and clay soils. Estes presented on reversing urban hydrology through stormwater infiltration and porous pavements. Estes Design Presented on Stormwater Infiltration for the attendees in Columbus Ohio on February 20th. Chris spoke on the merits of Stormwater Infiltration and Pervious Pavements. Estes Design conducted a one day seminar with Auburn Universty for the National Pervious Concrete Pavement Assoc. Pervious in Paradise in St. John, August 6-12. Chris spoke on Pervious Pavements & Infiltration and NC BMP Manual, Chapter 18 Updates. Estes Design conducted a half day seminar on improved pavements, stormwater & Water quality. Catawba College Center for the Environment in Salibury NC. Chris spoke on Stormwater runoff, Water Quality regulation, Stormwater Infiltration and Permeable Pavements. Estes Design presented research and case studies on Storm Water Infiltration to the American Public Works Association at the June 2012 APWA NC Chapter Conference APWA NC Conference, Concord NC. The Concrete Sustainability Conference 2012 invited Estes Design to make presentations on Stormwater Infiltration in Clay Soils and Regulation May 7-10 in Seattle,WA. The Clemson University T3S invited Estes Design to teach a one day course Intorduction to On-site Stormwater Management (June 13, 2012 in Columbia SC ). Bruce Ferguson has made presentations on Pervious Concrete Pavement at seminars in Charlotte arranged by Estes Design. Bruce Ferguson has nationally-renowned knowledge and experience in storm water infiltration. He is Professor of Landscape Architecture and Director of the School of Environmental Design at the University of Georgia. He is a landscape architect who has specialized in environmental management of urban watersheds. Ferguson recently completed the first comprehensive guide to porous pavements; a new technology, which he says, is “potentially the biggest development in urban watersheds since the invention of the automobile.” Porous Pavements was released by CRC Press in early 2005. For his research, Ferguson surveyed 280 installations of all kinds of porous pavements, in all parts of North America.